While the appetite for U.S. government debt around the world remains voracious, Russia cut its holdings of Treasuries by half in April. Foreign holdings of U.S. government bonds ended April 1.7 percent higher than the year prior, according to the most recent data available from the Treasury Department. China, the largest foreign holder of Treasuries, raised its U.S. bond holdings rose 8.9 percent. Canada’s Treasury holdings were up 11 percent. Germany’s up 16.2 percent. Russia stands out as an exception. Compared with a year ago, Russia’s Treasury holdings have contracted by 54 percent. Most of that decline came in the last few months. 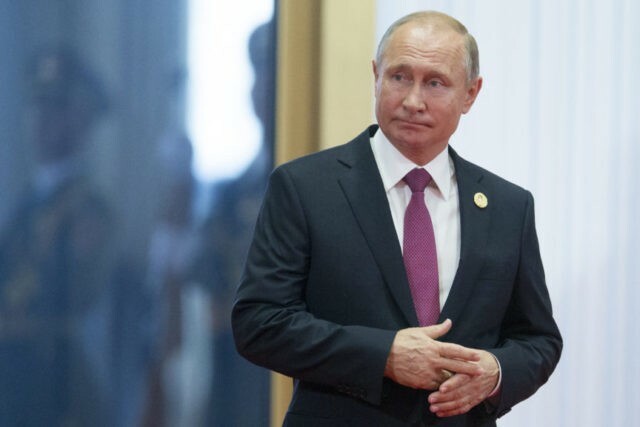 As first reported by CNBC’s Jeff Cox, Russia cut its holdings of U.S. debt nearly in half from March to April, from $96.1 billion to $48.7 billion. Russia’s Treasury ownership hit its recent high of $108.7 billion in May 2017. So has Russia lost faith in the United States economy or America’s ability to support our debt? Although Russia is a relatively minor holder of U.S. Treasuries, could it be an indicator of the world turning about U.S. government debt? Not likely. The April decline in Treasury holdings coincides with the imposition of fresh sanctions on April 6. Those sanctions targeted some of Russia’s biggest companies and most prominent businessmen. This itself could have triggered a sell-off. To the extent these businesses and executives need access to dollars but find dollar income restricted by the sanctions, they may have turned to selling Treasuries to raise dollar-income. It is also possible that the Treasury sell-off represents an effort by the Russian government or its central bank to support the rouble. After the sanctions, the value of the rouble crashed nearly 10 percent. Since mid-April, however, its value has held steady at that lower level. This plateauing could be a result of intervention to support the rouble. The Russian central bank said in April that it was not planning to intervene to support the rouble.